Frankie Rose, formerly of Crystal Stilts, Vivian Girls and Dum Dum Girls, goes solo with her own garage lo-fi project. The album is a pastiche of influences including: Spector, The Ronettes, Jesus and Mary Chain and The Sonics to add but a few. 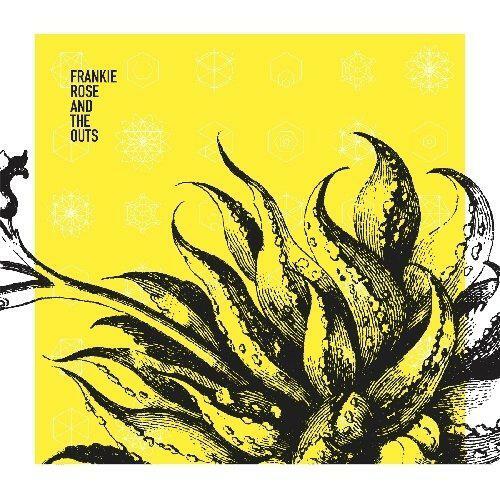 Recorded in what seems like a lonely old basement, Frankie ploughs a distinctly urgent furrow and the songs are resplendent in a golden halo of hooks and effervescent fuzzy landscapes. Kicking off with the organ laded funeral-esque 'Hollow life', it evokes the ethereal and beautiful voice of Hope Sandoval at her Mazzy Star best, and the vocal glides effortlessly across a snail's paced percussion. It's not in keeping with track two, 'Candy', which hoards a host of indie girl bands and quarantines them with an array of 60s sounding harmonies. There are also distinct elements of shoe-gazing smattered across the album, recalling early Pale Saints - evident with 'Little Brown Haired Girls' demonstrating that the album is quite roomy and doesn't suffer from a claustrophobic sound which can be found in garage rock. 'That's What People Told Me' is a glorious stomp along and the resplendent sleigh bells chip away and ride in parallel with the fuzzy loaded guitar. 'Must Be Nice' carries more than a hint of surf guitar against a larynx of over-dubbed harmonies whilst remind of the C86 indie guitar beauty of Sarah Records. 'Girlfriend Island' is all pounding toms against major chord bright chime that simply glistens and reverbs, but before you know its out of here in two and a half minutes flat and leaves you longing for more. What you can take from this album is its undeniable charm. Yes, it has it slow and fast songs but in no way does it breathe of misery and doom. It's a shining monolith of lo-fi pop. Even instrumental 'Memo' tugs at the heartstrings and demonstrates a foot off the pedal and spacious sound across a mild cacophony of sound layered behind it. Rounding off the album is the drawn out psychedelic hinted 'Save Me' Wrapped in a wall of Spacemen 3 fuzz and drone it, drags its feet, not in a laborious way but in a charming effortless assault on the ears leaving you with a thanks for the glorious ending finish. A great debut from Frankie and her choice to go it alone is one that she should have no regrets about. A glorious find at the end of 2010 which should be featured in many a musical poll.